The GUC will particioate in “Reinickendorf forscht & experimentiert –MINT-Messe” event, which will be held in Berlin on the 30th of January 2019. 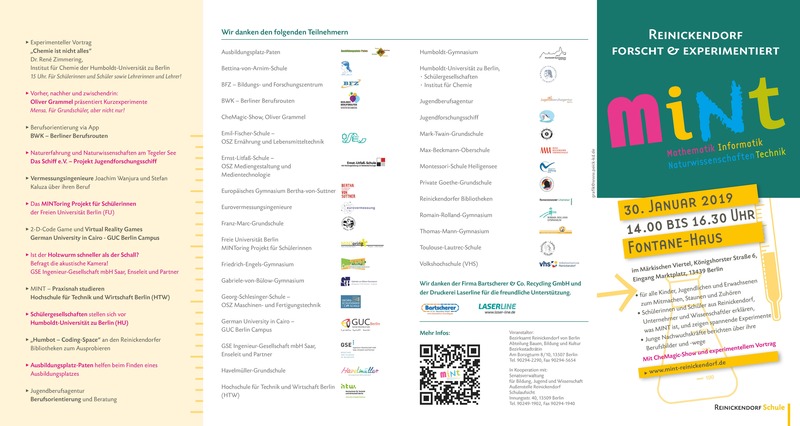 The event is an exhibition organized by the borough of Reinickendorf to promote Mathematics, Informatics, Natural Sciences and Technology for young school students. Three projects implemented by MET GUC students and graduates will be showcased during this event. Along with the projects there will be a screen presenting other projects from different majors of the GUC.